How many of us own storage cases housing sentimental pieces of our past? How many of us linger over photographs of ancestors? How many of us long for particular foods simply because they restore memories of someone we loved? While there is value in appreciating the things of the past, we often fail at living in the present because we focus so much on what has been. Jesus is forward thinking. Some form of the word “live” appears six times in these seven verses. His instruction, his focus, and his very sacrifice are for our gain. Life continues in and through him, and for all eternity. Our resurrected Lord continually offers us Living Bread. We stare for hours at photographs of loved ones, hold on to treasures, and eat particular foods to trigger responses to things of the past. Yet, Jesus willingly meets us in the here and now, with the promise of eternal life. 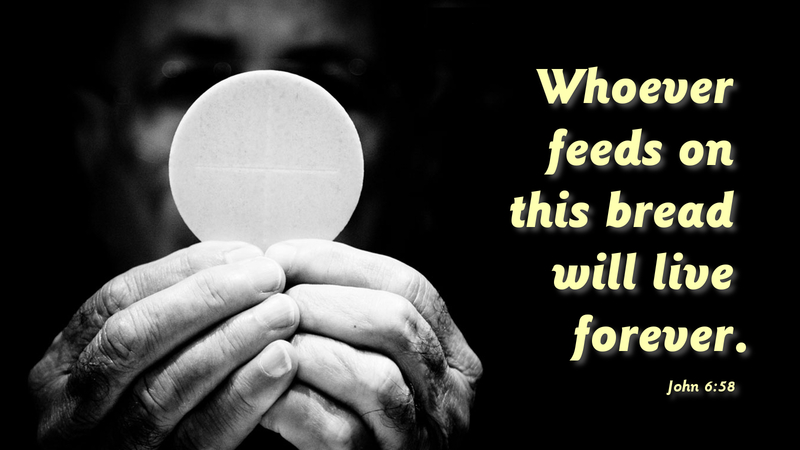 How much more should we eagerly partake of the life-giving food offered by our living Savior? Prayer: Lord of life, we praise you for your sacrifice and invitation to join you at the table, and pray that we would live wholly unto you. Amen.